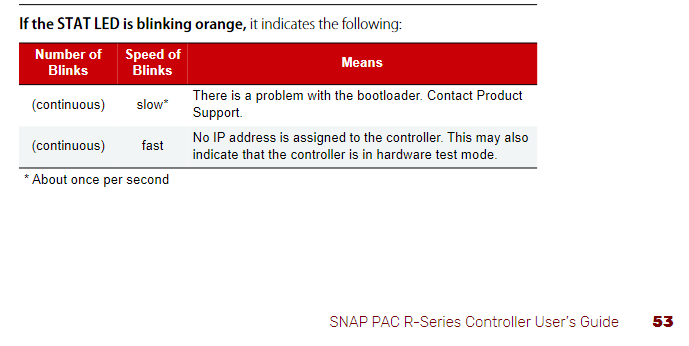 My SNAP-PAC-R1 Controller Start LED Blinking Orange Continuously. and what steps i need to follow now? The best way to learn about our products is to look at the users guide. The search function of these forums is really pretty good and might be faster in getting help.